Tamil new year is celebrated on 14th April which is the first day of year on the Tamil calendar every year. It is known as Tamil Puthandu. Here is a attractive tamil new year card which is designed with a lamp and some flowers. 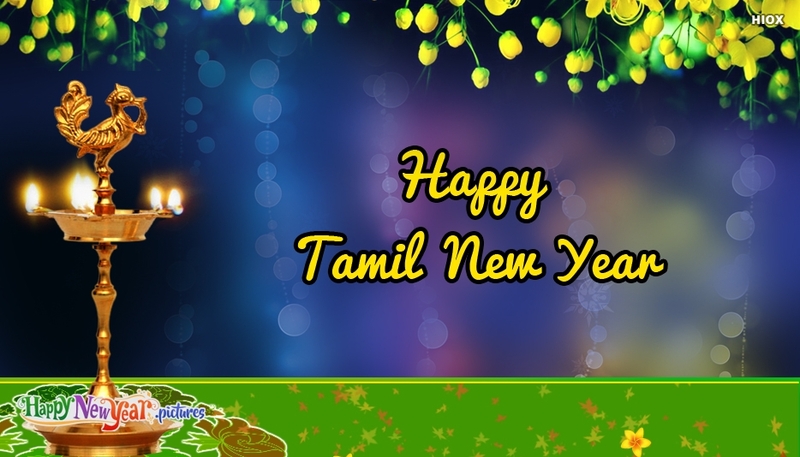 The image portrays the text "Happy Tamil New Year". Share this e-card with your family and friends on tamil new year.